Baby babble is adorable. First words are exciting. And then they are off – talking all the time! 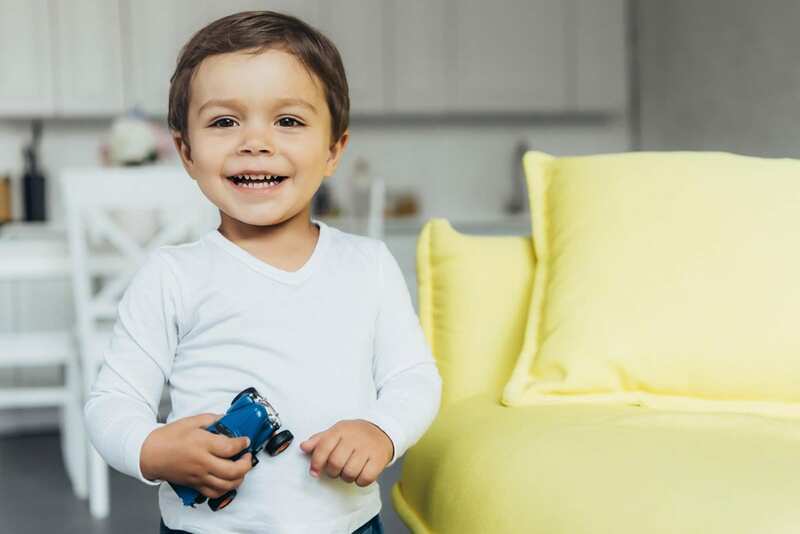 We expect some funny mispronunciations as babies learn to talk, but when your child isn’t improving or is unable to speak at an age-appropriate level, do you know where to start to determine the root of the problem? Often speech difficulties in children can be caused by dental issues. How Do Dental Issues Impact Speech? In order to talk, our lips, cheeks, tongue, jaw and teeth have to work together to produce a clear, well-articulated sound. But when something is off with any one of these factors, speech can be impacted. Because children begin speaking around the same time their teeth come in, oral health becomes a critically important component of proper speech development. What Dental Conditions Affect Speech? There are a number of ways in which your child’s teeth, tongue and jaw can impede their speech. Also known as Ankyloglossia, this condition restricts the tongue’s range of motion because an unusually thick, short or tight band of tissue (lingual frenulum) is tethering the bottom of the tongue’s tip to the floor of the mouth. Children with tongue-tie may have trouble eating, speaking and swallowing. They will especially struggle to pronounce sounds made by the letters N, D, L, T and R. To combat this condition, dentists can perform a frenectomy, where the frenulum is removed – freeing the tongue to aid in speech more easily. While malocclusion is often inherited, there are also several behaviors that can cause it, such as prolonged thumb sucking or pacifier usage. Malocclusion can lead to disordered speech, including lisps and the inability to properly produce strident sounds (sounds made because of fast airflow against your teeth, such as F, V, Z and Ch). OMDs cause a disconnect between the tongue, lips, cheeks and teeth. They occur when the tongue falls into an abnormal position – usually between the top and bottom teeth or too far forward. OMDs are typically identified when the tongue’s position starts to impact tooth eruption and positioning in younger children. OMDs can affect speech development, making certain sounds difficult to produce. Often, this causes children to struggle to enunciate sounds like S, Z, Sh, Zh, Ch and J – leading them to produce more of a “th” noise. Like malocclusion, OMDs can be caused by some behaviors, such as thumb sucking, nail/lip biting, extended pacifier/bottle use or tooth clenching/grinding. They can also be caused by genetics, enlarged tonsils or an upper airway obstruction. Getting a tooth knocked out or losing a baby tooth early can negatively impact your child’s speech. When this happens, it’s common for a child to need help from a speech therapist later on because of a speech impediment that developed. If a child’s jawbone is too small, it can cause their teeth to be crammed together – leaving less room for their tongue to move around. In addition, having an upper and lower jaw that are different sizes can cause a poor bite pattern, impacting speech. When anyone, even a child, is self-conscious about the appearance of their teeth, they might refrain from opening their mouth wide enough – causing them to mumble or speak incorrectly. If your child has speech difficulties and any of the above dental issues, you can start by seeing a pediatric dentist. 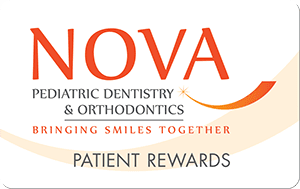 At NOVA Pediatric Dentistry & Orthodontics, we will give your child a thorough dental examination and help determine your next steps. We perform frenectomies and other dental work to help with speech impediments. We can also help you seek speech therapy. Contact us today to make an appointment and begin solving your child’s speech difficulties.